Big rooms good for overnight travel stop.. Local Hotel provided good meals 5min walk. it was close to the vicinity where i was working. the size of the room was acceptable compared to others. 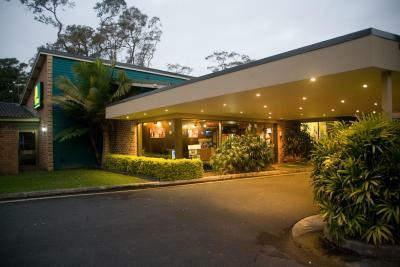 the motel looked good on the outside and car park was great. The bed was comfy and air con worked well. Previous people have complained about noise from the highway and train line but we were near the front of the property (close to the highway) and it was quiet. The staff are friendly. the bed was very comfy and the kitchen was really good,and greetings from any of the staff we met. The pool and BBQ was clean. The manager Craig was quick to fix the mismatch of the rooms which was booked. He gave another room for it. Very friendly staff and has all the basic facilities. 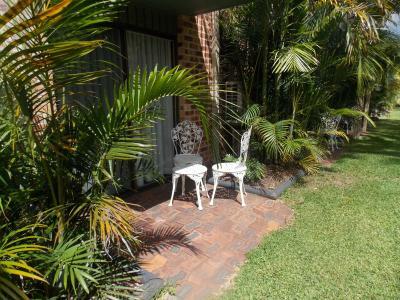 Very comfortable for 3 people & the gardens & wildlife are beautiful. Bed was very comfy , very well situated for our visit. The Willows This rating is a reflection of how the property compares to the industry standard when it comes to price, facilities and services available. It's based on a self-evaluation by the property. Use this rating to help choose your stay! Featuring an outdoor swimming pool, The Willows offers air-conditioned suites just 1.2 mi from Gosford city center. Australian Reptile Park is a 10-minute drive from The Willows. The shops and restaurants of Wyoming Shopping Village are located opposite the motel. Terrigal Beach is a 20-minute drive away. All accommodations at The Willows includes cable TV, heating and private bathrooms. There is also a sofa and work desk in each suite. Some feature a 2-person corner spa bath. The Willows Restaurant is open for breakfast daily, serving continental breakfast. 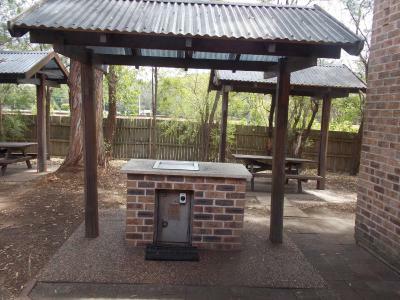 Guests have access to a tropical garden area with BBQ facilities. The conference and function center features 3 fully equipped function rooms that can cater for up to 250 people. When would you like to stay at The Willows? This spacious room offers pillow-top bedding, an private bathroom, tea and coffee making facilities, and an LCD TV with cable channels. It features either garden views or a balcony. Interconnecting rooms may be arranged upon request. 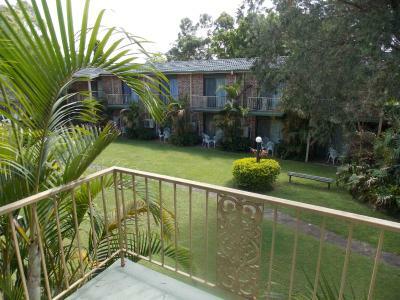 This spacious, air-conditioned suite offers tea/coffee making facilities and a satellite flat-screen TV. Please note the price is based on 4 guests. There is no capacity for additional guests. This spacious renovated room features pillow-top bedding, a corner spa bath, a sofa, and air-conditioning. It offers an LCD TV with cable channels. This spacious room opens on to a garden terrace. It offers pillow-top bedding, an private bathroom, tea and coffee making facilities, and an LCD TV with cable channels. Interconnecting rooms may be arranged upon request, for an additional charge. This family room features a corner spa bath, air conditioning, tea/coffee making facilities and a toaster. It also offers a satellite flat-screen TV with cable channels. Please note the price is based on 2 guests. Maximum occupancy is 4 (see Hotel Policies). This deluxe, air conditioned suite features a private outdoor area and a 2-person corner spa bath. It also includes high-quality bedding, tea/coffee making facilities and a satellite flat-screen TV with cable channels. Guests receive a complimentary bottle of sparkling wine on arrival. This spacious room offers a private balcony, or opens on to a garden terrace. It offers pillow-top bedding, an private bathroom, tea and coffee making facilities, and an LCD TV with cable channels. 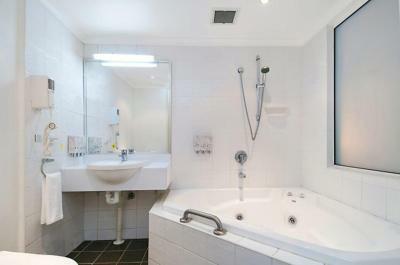 This suite features a spa bath. House Rules The Willows takes special requests – add in the next step! The Willows accepts these cards and reserves the right to temporarily hold an amount prior to arrival. Guests arriving outside front desk hours must inform the hotel in advance. Contact details can be found in the booking confirmation. Very noisy mainly due to lots of Chinese guests with young children who were running around until after midnight. The room was old. Breakfast was bad. If you booked this hotel like me for breakfast then be mindful they only provide milk, cereal and fruit which you can have by yourself. No hot food in breakfast which is a shame. Rooms are comfy & quiet. Garden settings are great with a few water dragons noted. 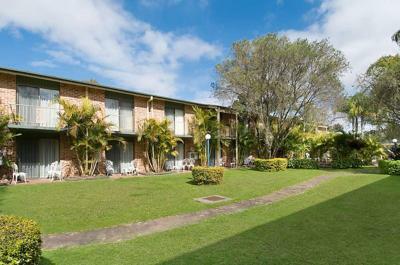 Location is close to a shopping centre and a pub with a great bistro. The shower head was not great. Room was a good size.Bed comfortable.Coffee and tea available. Spa was dirty with hair at various locations within. Dust built up over time on places less used like tv cables leading to elevated tv. As we had heavy suitcases due to being enroute overseas, being upstairs was a little bit of a problem. However the upper floor outlook was preferable. Breakfast was a little basic but adequate, though calling it Continental was misleading due to the absence of pastries and cold cuts. Very spacious room. Quiet, despite the proximity to a main road and railway. Towels and toiletries above average for a motel. Nice to have two pillows for each person without having to ask for extra. Cry peasant outlook over the garden. Room was clean. Beds comfortable. 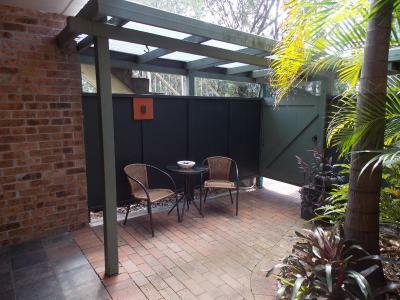 Nice outlook and outdoor setting onto the garden. 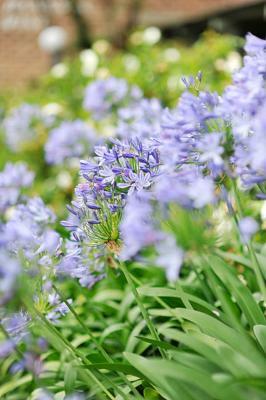 Cleanliness, comfortable bed and good shower pressure. Old furniture and the rooms smelled of the old furniture. the Bathroom and the shower looked old that I did not use.